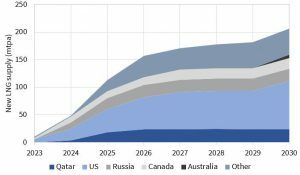 The current wave of new LNG supply consists of more than 150 mtpa of committed liquefaction projections coming online between 2015 and 2022. But considerable uncertainty remains as to the size, source and timing of the next wave. 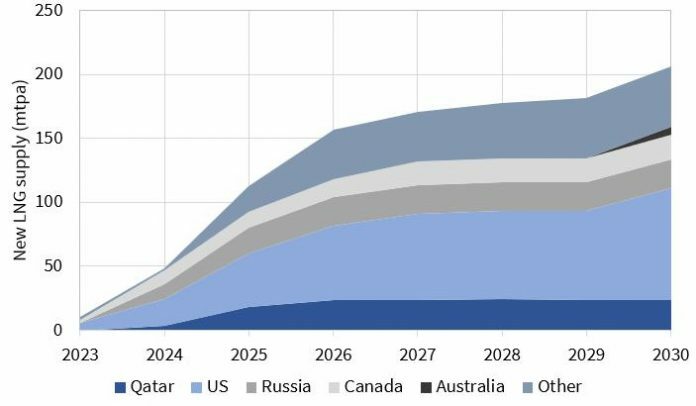 The authors review the 5 countries likely to dominate the provisions of additional liquefaction capacity to meet LNG supply growth across Asia, Europe and Latin America. Chart 1 shows an illustrative scenario of next wave supply across the top 5 players. 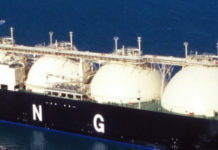 Qatar is currently the world’s largest LNG supplier. A relatively low feedgas cost base means it is best placed to participate in the next wave, albeit with volume constraints. US export projects feature strongly in the current supply wave. Projects under construction include Elba Island (2.5 mtpa, 2018), Sabine Pass T 5 (4.5 mtpa 2019), Freeport T 1-3 (15 mtpa 2019-20), Cameron T 1-3 (13.5 mtpa 2019), Corpus Christi T 1-2 (9 mtpa 2019). The Sakhalin project on Russia’s eastern seaboard has operated successfully with Shell as a major partner since 2009. 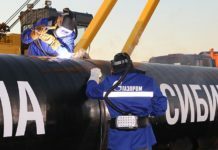 More recently Novatek has, against all expectations, successfully commissioned the first of three trains at Yamal LNG on the Yamal peninsula of northern West Siberia. Canada was anticipated to be a big next wave player a few years ago. 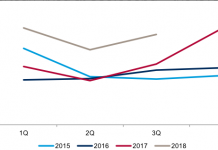 But Canadian projects now face major challenges in the form of overly complex regulatory/fiscal hurdles, cost base (particularly labour availability) and a waning Asian buyer interest in oil indexed long-term contracts. Icthys & Prelude projects are due to be commissioned in 2018. 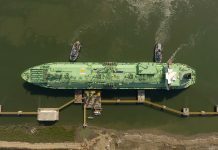 No other new LNG export projects are approaching FID at present. 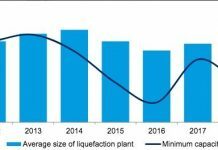 Yamal LNG – A Big Win for Russian Gas?